Today finishing up my translation of this piece from VZGLIAD. And putting off until tomorrow my usual month-end closing, which I usually do on the first day of each month. One needs to note, that the course begun by [Hugo] Chavez to get closer with other countries, did not at all, initially, exclude friendly relations with the U.S. Shortly after coming into the government, Chavez said, in one of his speeches, that Venezuela is friends to both Washington and Havana. It goes without saying that the folks in Washington do not stand on any ceremony when it comes to the external political independence of a Latin American country. Uncle Sam’s hand was quite visible in the 2002 coup. In Caracas you can buy deep-fried yucca root at McDonalds. Moreover, Chavez did not “chase American business out of the country”, as they often write (either with approval or condemnation) in the Russian press. 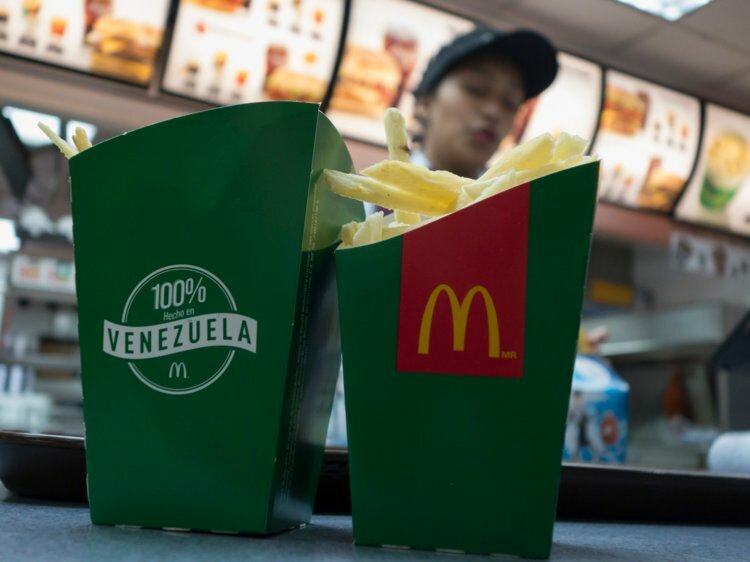 For example, the very same McDonalds restaurants are still operating in Caracas, and Venezuela operates a joint company along with Chevron Oil. 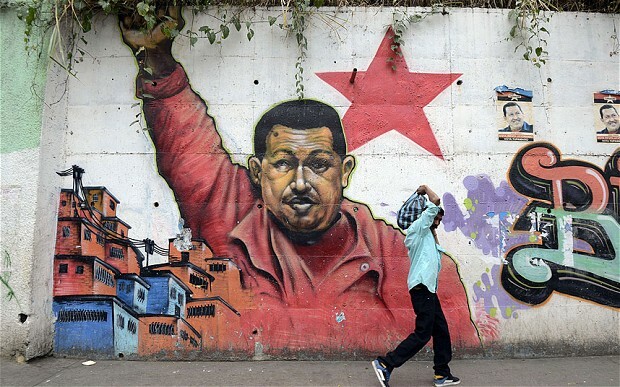 Objectively, the Chavez program of diversifying strategic partners, was advantageous to Venezuela. After all, having good relations with, say, China, Russia and Belorussia, Venezuela is able to conclude agreements with whichever partner offers the best terms, in whatever endeavor. However, this course has been subjected to virulent attacks on the part of the Opposition. The Opposition is connected with the traditional Venezuelan elite, which orients itself to the U.S. Cuba is a particular “red flag” to this bull, but they don’t like some of the other “partners” either. Not to mention articles, programs, declarations of Oppositionist politicians, journalists, or deserters from the military, in which Maduro is accused (just like Chavez before him) of selling out Venezuela to “Russian or Chinese imperialism”, of “serving the Russians and Chinese”. Such declarations look particularly inappropriate when they come from the numerous former supporters of Chavez who, for one reason or another, have broken ties with Maduro, and yet still claim fealty to the ideas of the deceased Commandante. On the other hand, the Opposition does contain some people with a more rational approach towards cooperation with the Russian Federation. My Russian lessons were attended by a representative of one of the Oppositionist parties, who occupies a post in one of the municipal structures of Caracas that is controlled by the Opposition. Once, getting into a conversation after the lesson, he started criticizing the majority of his colleagues in the Opposition for their “stubbornness” on the issue of Venezuela-Russia ties. “After all, cooperation is there in reality, contracts have been signed, many of them are oriented to future collaboration in the coming years. Whatever our leaders are saying now, breaking these ties would not be advantageous for either Russia or Venezuela. It would be more logical to keep these contracts in place. This is why I wish, when our party takes over the government, to have a mastery of Russian. That way I will be able to work directly with our Russian partners,” he confessed. Unfortunately, such sensible people as this, are rare to find in the leadership of the Venezuelan Opposition.